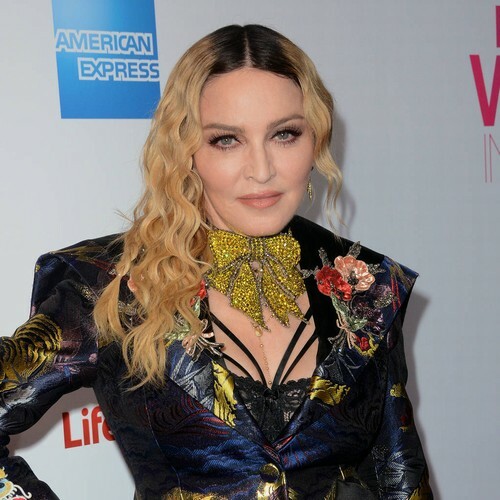 Fans and activists are urging Madonna to rethink her plans to perform at next month's Eurovision Song Contest in Israel - and boycott the event. The 60 year old was confirmed as the headliner on Monday (08Apr19), and now critics are calling for her to pull out to protest the plight of Palestinians living under Israeli occupied territories. Fans have taken to social media in an effort to make her reconsider, with one tweeting: "Dear @Madonna , In 2014 you tweeted support for Palestinian children as they were being bombed Will you act now for Palestinian children by cancelling your performance at Eurovision in Israel (sic)?" Another Twitter user writes: "Dear 'Madonna, open Your Heart to the Palestinian people in Gaza. Don't Support the CHILDREN'S KILLERS by performing at Eurovision! Please, CANCEL your performance in Israel!" And a third adds: "How could @Madonna even think about performing at the Eurovision Song Contest. Just last year alone Israel murdered 300+ unarmed civilians in Gaza, many were children. Shame on you!!" The pop superstar, who has yet to respond to the backlash, will reportedly be paid million (£770,000) by an Israeli businessman for her two-song performance in Tel Aviv. Meanwhile, singer Kate Miller-Heidke, who will represent Australia at the Eurovision Song Contest, has responded to her critics, who urged her to boycott the event, stating: "I absolutely respect his point of view, but for me, personally, the idea of completely blocking off an entire people, an entire country, from music, culture and learning... It's not just art that they are trying to block but academia and stopping the free flow of learning and information into a country. I just can't see how that is going to advance that part of the world towards solution." She added: "I have a lot to learn and I am looking forward to being there for two and a half weeks, and having the chance to meet Palestinians and people from different sides and deepen my learning and understanding."